Registration: Polytanol is registered by the BVL. 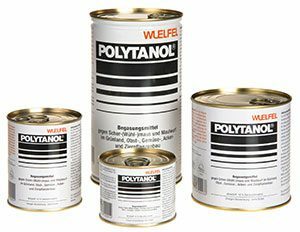 Use: Polytanol is a granulate which is introduced into the opened vole tunnels. Toxic Phosphine is produced by ground humidity. The gas is slightly heavier than air and distributes itself in the vole tunnels. Private consumers without proof of competence (fumigation certificate) can only purchase the 50 g cans. The devices can be ordered directly from us. Prices are plus 19 % VAT and postage. No direct delivery to private consumers! Polytanol P: The “P” means pellets. Active substance: 25 % calcium phosphide. The pellets are packed in a 750 g aluminium bottle.